Paper Recycling is a success: 72.5% (60 million tonnes) of all paper consumed in Europe is collected for recycling and 83% (50 million tonnes) of this recycling is made in the European paper mills. According to CEPI over the past 20 years, European paper mills have consistently increased their use of paper for recycling. Looking forward, the European paper industry is prepared to recycle any paper collected by high quality collection systems and that fulfils the European industry standard EN 643. And, with higher availability of good quality raw material, the European paper industry is committed to increasing the recycling capacity in coming years to technical limits to provide to European society the recycling of the recoverable paper consumed in the Union. To do so, the main driver would be to improve the quality of the paper for recycling the transformation of sub-standard collection schemes (as, for example, comingled collection systems) into source separated ones. 2. 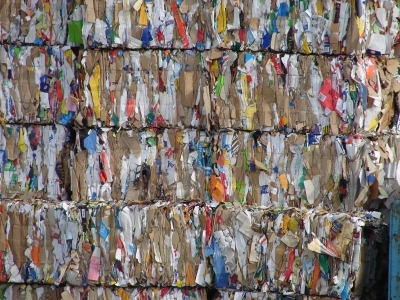 Over the last 10 years the Chinese government has allowed the increased importation of paper for recycling to fulfil the growing needs of Chinese paper mills, which supply packaging for the export orientated Chinese economy. Europe simultaneously increased its recycling targets, and collection systems such as comingling emerged, which produce output materials of low quality and which are not in demand by the European paper industry. This material found a market in the far East, and particularly China. 3. More recently, China has put measures in place to prevent imports of a range of low quality waste derived materials, not just paper. China has done so unilaterally and without lead times to allow collection systems to adapt. As a consequence, low quality material from substandard collection systems is either being stock-piled in vast quantities because it is not suitable for recycling in Europe, or it is being disposed of by other means, including being mixed with other paper qualities. 4. While the means and the deadlines can be disputed, the current position of the Chinese authorities is a demonstration that poor quality paper for recycling that comes from comingled collection systems cannot be recycled in a sustainable way. By “Sustainable” we mean every aspect of this word: Technically, Economically, Environmentally and Socially. a. Technically because the recycling of poor quality material is very difficult. The level of non-paper components it contains causes huge problems to the recycling process. b. Economically because over the full recycling chain, collecting, sorting and recycling this material is much less efficient then doing it through a source separated system. c. Environmentally, because rejects from sorting comingled material and from subsequently recycling it, are much higher than in a source separated system. And these rejects must be managed again in order to prevent them having further adverse environmental impacts. d. Socially, because comingled systems do not help to raise public awareness about care for our environment and encourage people to disengage from the process of resource efficiency and sustainable living. In addition, making poor quality material that cannot be recycled in Europe adversely affects the economy and the creation of jobs in the paper recycling value chain in the Union. 5. The European paper industry has consistently raised concerns about the implementation of comingled collection systems. From the outset, when they were first introduced, the paper industry expressed its opposition and explained that they are directly opposed to the European requirement for high-quality recycling and that they frustrate the desire to support best practice in paper recycling and best environmental outcomes. 6. Paper for recycling arising from comingled collection systems have difficulty in fulfilling any of the requirements of the industry standard, established since 2000 and laid out in the EN643, the European List of Standard Grades of Paper for Recycling. According to CEPI the European paper industry is willing to recycle any paper collected by high quality source separated collection systems and that fulfils the European industry standard EN643. With higher availability of good quality raw material, the European paper industry is committed to increasing its recycling capacity in coming years to provide European society with the opportunity to recycle all recoverable paper consumed in the Union. To do so, the main driver will be the transformation of comingled collection systems into source separated ones. For the past three years an ERF 200 filter built by Ettlinger of Königsbrunn (Bavaria, Germany), installed at Candi Plastic Recycling, an Austrian materials recycler, has been producing high quality regrind nonstop from contaminated plastic waste with high aluminum or paper fractions. The Trade Fair Organisation could attract the BDSV and the world leader in the car drainage process company, SEDA Umwelttechnik GmbH from Austria, to build a complete car-recycling drainage and dismantling installation at the exhibition centre.